All the action of the arcade game in your living room! This special adaptation brings home all the excitement of the legendary arcade game and gives you even more control over the action! 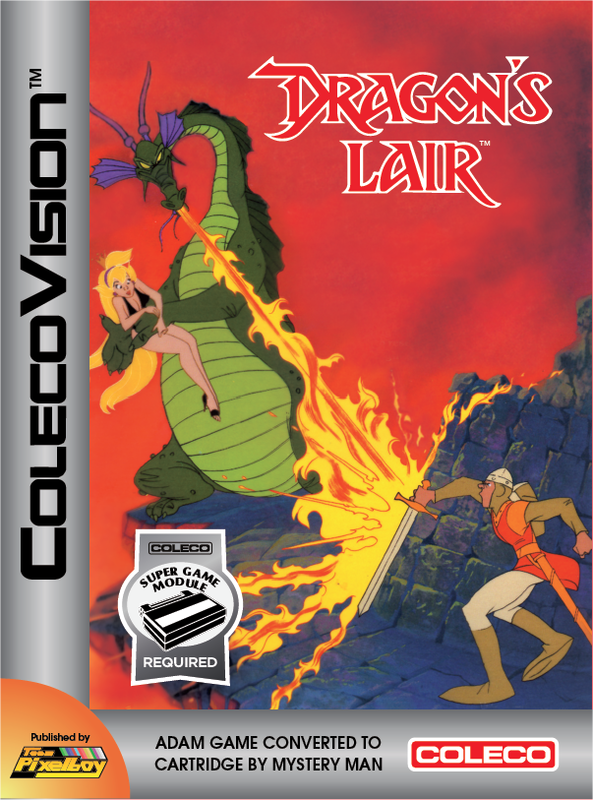 Lead Dirk the Daring on his quest to rescue beautiful Princess Daphne, who's been imprisoned in a crystal ball by the evil dragon. To complete this noble mission, you'll need courage and quick reflexes! Fend off supernatural forces with your sword or use your wits to escape. Swing on a rope over fiery chasms. Fight fierce battles with the dreaded Phantom Knight and cunning rat guards. Find a way to survive and you'll take on the most deadly foe of all, the diabolical dragon himself! In July 2012, a few weeks after the completion of the Quest for the Golden Chalice project, I proposed some future projects to Mystery Man, for 2013 and beyond, which he could have easely refused. 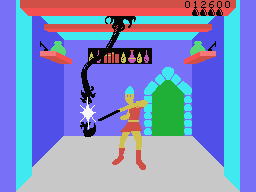 One of these proposals was to convert the ADAM game Dragon's Lair into regular cartridge format. Not only did he accept, but he got the job done immediately, and in record time too! 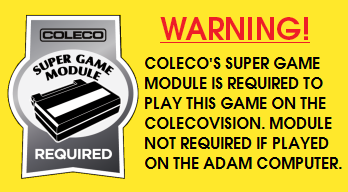 The game requires the extra RAM offered by Opcode's Super Game Module, but the SGM is not required when playing the game on the ADAM computer. This game was completed and released in 2012. 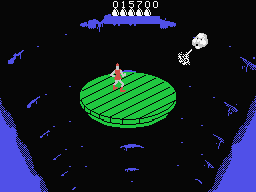 SPECIAL THANKS: Albert Yarusso and all AtariAge forum members. 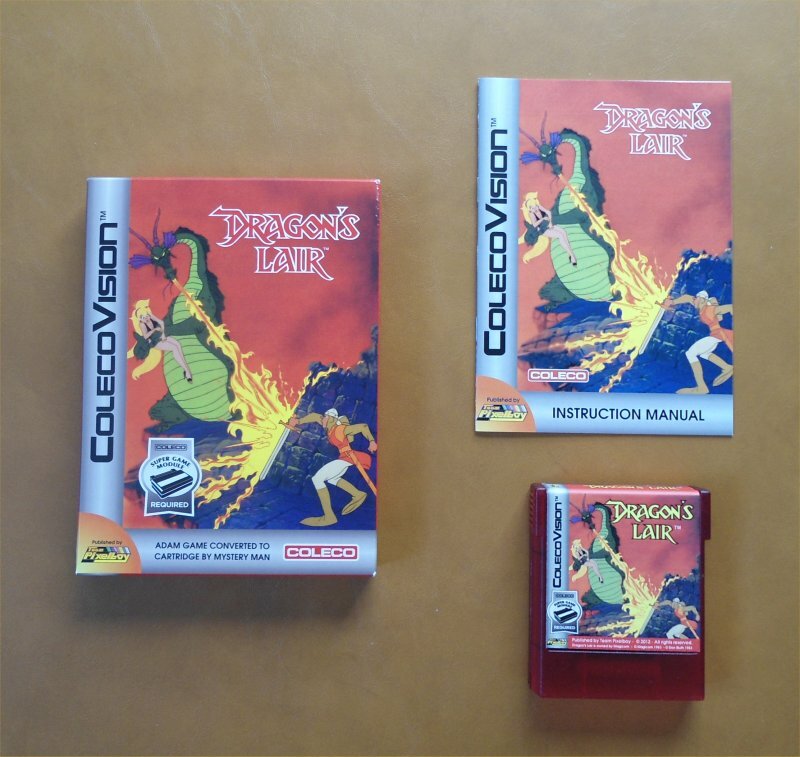 Here is a YouTube video of the ColecoVision cartridge edition of Dragon's Lair.